Designed by Colonel S.V. Hotchkin and opened in 1923 East London Golf Club once again plays host to this years African Open, which kicks off the 2012 Race To Dubai. This is a co-sanctioned event with the Sunshine Tour and offers a prize fund of €1-million. The East London Golf Club sits among the dunes and rolling sandhills, which overlook the famous Nahoon Beach, it is a beautiful setting. A traditional course layout set amongst hills, dunes and coastal indigenous bush, it combines both links and parkland features. The strength of the course is the front nine, which cascades across beautifully rolling ridges and heads into and around the dunes, tumbling down valleys and over hills to hidden greens and with plenty of short par 4s, birdies will be plentiful should the wind drop. Louis Oosthuizen 5/1 is the defending champion, he also finished last season off in fine style, finishing in the Top 10 each time he teed it up in his last five tournaments, earning himself €678,905 in the process and pushing him up to 40th on the World Rankings. Jaco Van Zyl 16/1 another local lad who finished last season in great form, his last 10 events of 2011 saw him finish in the Top 25 nine times, three of those coming in the Top 10, he also finished fourth in this event last year. George Coetzee 16/1 had a bit of a roller coaster year last year finishing in the Top 10 eight times, but he also missed the cut in eight tournaments, he also had another seven Top 25 finishes. Thomas Aiken 14/1 bagged his maiden victory last year on the European Tour at the Open de España, but then lost form missing several cuts, but he did have four other Top 10 finishes. A 3rd place finish in the SA Open Championship and then a 26th place finish at the Dubai World Championship, hopefully sees the lad from Johannesburg coming back into form. Robert Dinwiddie 110/1 always seems to enjoy this leg of the European Tour and finished in the Top 10 here last year. 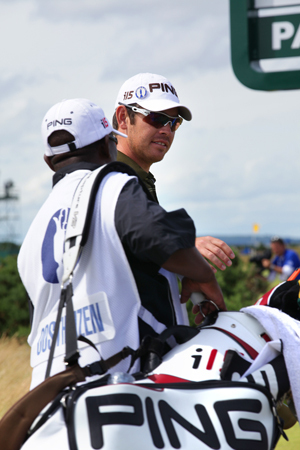 He also finished in the Top 10 three times out of the four tournaments he played in the South African leg of the tour. This will be Tommy Fleetwood 55/1 first full season on the European tour after winning last years challenge tour order of merit. The Southport lad had a distinctive amateur career and after winning the Challenge Tour look for him to do well this year on the full tour.